Dear Members, as part of our training programme this season we have massively upped our game with the addition of Tony Niccoli to the roster. 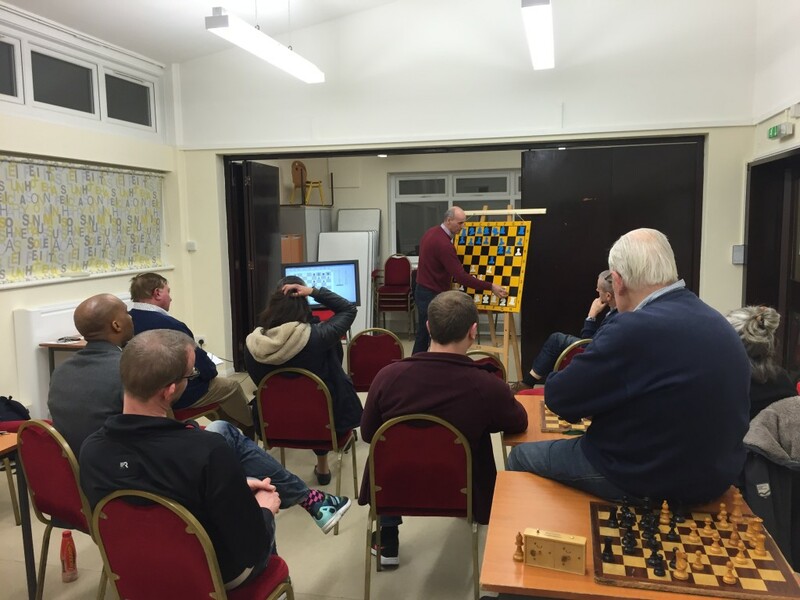 Tony is an ECF-registered trainer, and a top English player (198 standard/203 rapid), and he’ll be taking two more training evenings – in March and April. Ahead of that we’re equally excited to announce that Monday 23rd January sees our next in-house training session. Hosted by our Thames Valley and London 3 Captains, Adam Cranston and John White, we’ll be analyzing games at the demo board and providing tactical and strategic insights and advice. You’re invited to submit games to Adam by 7pm Friday for inclusion in the session. Finally we can also confirm our own Danish Dynamo, Carsten Pedersen, will be hosting a training session in May. Carsten has long been one of our top players (192 standard) and is highly skilled with his analysis and insights, with a very accessible and engaging presentational style. His session will be a great finale to this years programme. Full details below – make sure you save the dates! Can’t make Monday 23rd, but I’m nailed-on for the others. Many thanks to the volunteers for giving up their time! Appreciated. Since mine is the last (no free dates!) we have plenty of time to prepare, so I’d welcome suggestions regarding what you all would like to cover. No openings but other than that open to suggestions! Does the “London System” count as an opening? Hear quite a bit about it with every match report involving Adam, I wouldn’t mind learning a bit more. Cheers, Andy. Previous Previous post: Good News From the Battlefield!